9781620916506 | Calkins Creek, March 1, 2016, cover price $16.95 | About this edition: A National Science Teachers Association, Best STEM BookOn November 19, 1916, at 8:25 a. 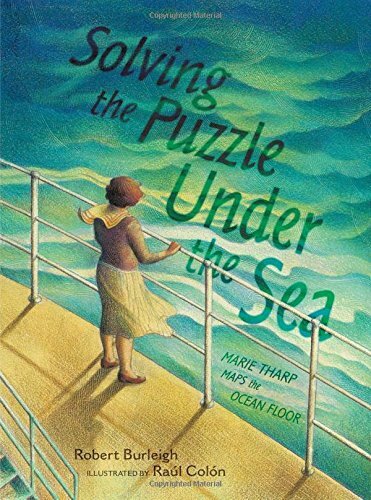 9781481416009 | Simon & Schuster/Paula Wiseman, January 5, 2016, cover price $17.99 | About this edition: “A finely told, beautifully illustrated biography that saves a world class scientist from obscurity. 9780553533880 | Schwartz & Wade Books, January 5, 2016, cover price $17.99 | About this edition: In this beautiful and empowering picture-book biography of presidential nominee Hillary Rodham Clinton, New York Times bestselling author Winter and award-winning illustrator ColÃ³n illuminate her distinguished life and career. 9780553236897, titled "Scoundrel Time" | Reissue edition (Bantam Books, April 1, 1983), cover price $3.50 | also contains Scoundrel Time | About this edition: In 1952, Hellman joined the ranks of intellectuals and artists called before Congress to testify about political subversion. 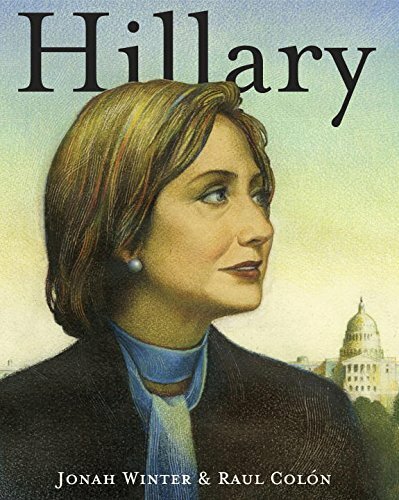 9780553533897 | Schwartz & Wade Books, January 5, 2016, cover price $20.99 | About this edition: In this beautiful and empowering picture-book biography of presidential nominee Hillary Rodham Clinton, New York Times bestselling author Winter and award-winning illustrator Colón illuminate her distinguished life and career. 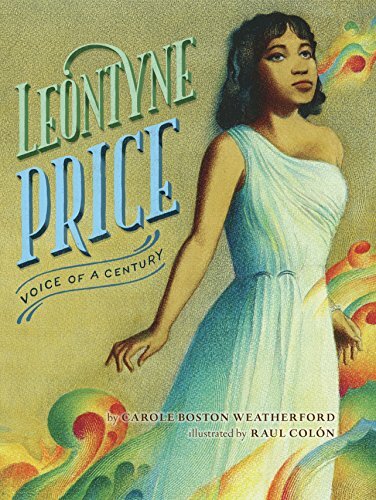 9780375856068 | Alfred a Knopf Inc, December 23, 2014, cover price $17.99 | About this edition: A stunning picture-book biography of iconic African American opera star Leontyne Price. 9780375956065 | Alfred a Knopf Inc, December 23, 2014, cover price $20.99 | About this edition: A stunning picture-book biography of iconic African American opera star Leontyne Price. 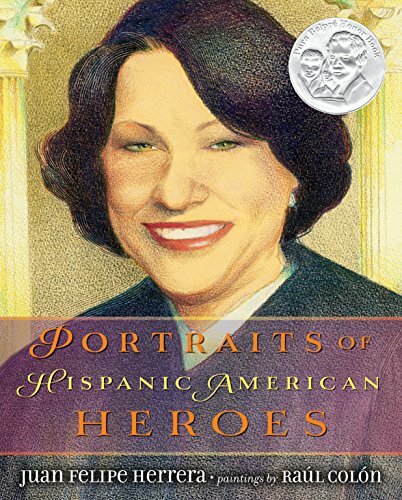 9780803738096 | Dial Books for Young Readers, August 7, 2014, cover price $19.99 | About this edition: An inspiring tribute to Hispanic Americans who have made a positive impact on the worldThis visually stunning book showcases twenty Hispanic and Latino American men and women who have made outstanding contributions to the arts, politics, science, humanitarianism, and athletics. 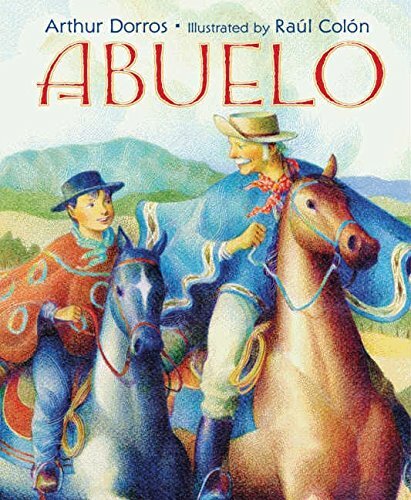 9780061686276 | Harpercollins Childrens Books, April 22, 2014, cover price $17.99 | About this edition: Together, a young boy and his abuelo (grandfather) go camping, ride horses, and even confront a mountain lion. 9781416955023, titled "Baseball Is..." | Margaret K McElderry, February 18, 2014, cover price $17.99 | About this edition: The ultimate celebration of an all-American sport, this picture book captures the joy and the history of baseball—and knocks it out of the park! 9780375843143 | 1 edition (Schwartz & Wade Books, December 22, 2009), cover price $17.99 | About this edition: In this Bank Street College of Education Best Children's Book of the Year, Paula Young Shelton, daughter of Civil Rights activist Andrew Young, brings a child’s unique perspective to an important chapter in America’s history. 9780385376068 | Dragonfly, July 23, 2013, cover price $7.99 | About this edition: In this Bank Street College of Education Best Children's Book of the Year, Paula Young Shelton, daughter of Civil Rights activist Andrew Young, brings a child’s unique perspective to an important chapter in America’s history. 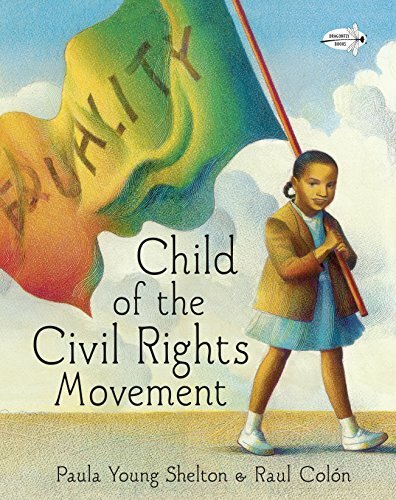 9780375954146 | 1 edition (Schwartz & Wade Books, December 22, 2009), cover price $20.99 | About this edition: In this Bank Street College of Education Best Children's Book of the Year, Paula Young Shelton, daughter of Civil Rights activist Andrew Young, brings a childâs unique perspective to an important chapter in Americaâs history. 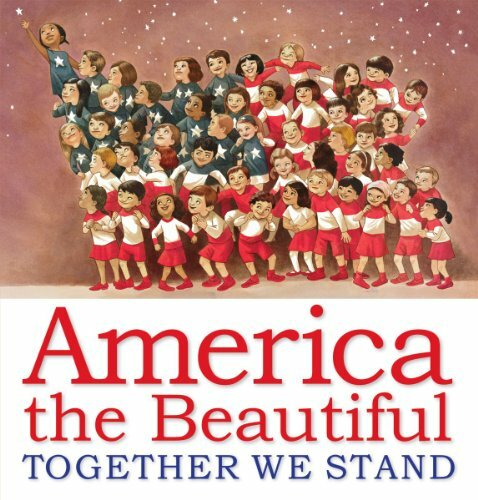 9780545492072 | Reprint edition (Orchard Books, January 1, 2013), cover price $17.99 | About this edition: A moving celebration of "America the Beautiful" featuring artwork from ten distinguished artists and inspiring presidential quotes! 9780375857065 | Schwartz & Wade Books, September 11, 2012, cover price $17.99 | About this edition: "What is breathtakingly shown here, through accurate, cross-hatched watercolor paintings; excerpts from Sullivan’s correspondence to her former teacher; and concise and poetic language, is the woman’s patience and belief in the intelligence of her student to grasp the concepts of language," praised School Library Journal in a starred review. 9780375957062 | Schwartz & Wade Books, September 11, 2012, cover price $20.99 | About this edition: "What is breathtakingly shown here, through accurate, cross-hatched watercolor paintings; excerpts from Sullivanâs correspondence to her former teacher; and concise and poetic language, is the womanâs patience and belief in the intelligence of her student to grasp the concepts of language," praised School Library Journal in a starred review. 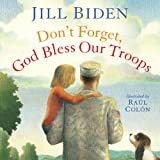 9781442457355 | Simon & Schuster, June 5, 2012, cover price $16.99 | About this edition: Inspired by her own granddaughter Natalie, Vice President Joe Biden’s wife, Jill, tells a story through a child’s eyes of what family life is like when a parent is at war across the world. 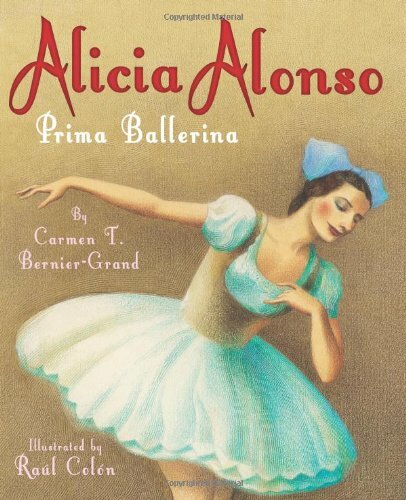 9780761455622 | Amazon Childrens Pub, September 1, 2011, cover price $19.99 | About this edition: Alicia Alonso’s artistic achievements are remarkable, considering that she became partially blind and lost her peripheral vision at age nineteen. 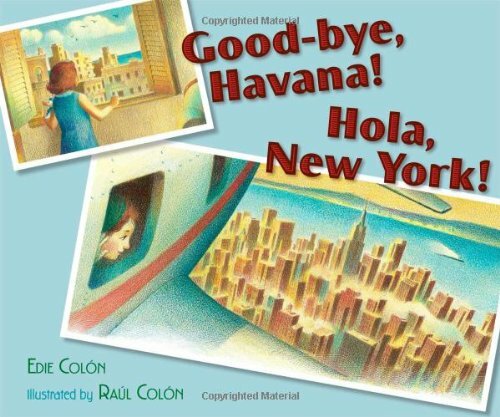 9781442406742 | Simon & Schuster, August 23, 2011, cover price $16.99 | About this edition: When five year old Gabriella hears talk of Castro and something called revolution in her home in Cuba, she doesn't understand. 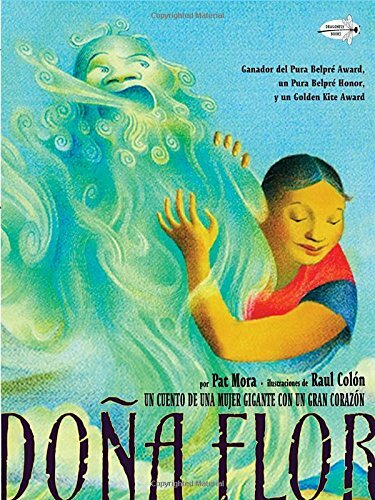 Doäna Flor, a giant lady with a big heart, sets off to protect her neighbors from what they think is a dangerous animal, but soon discovers the tiny secret behind the huge noise. 9780440417682 | Dragonfly, October 11, 2005, cover price $7.99 | About this edition: Doäna Flor, a giant lady with a big heart, sets off to protect her neighbors from what they think is a dangerous animal, but soon discovers the tiny secret behind the huge noise. 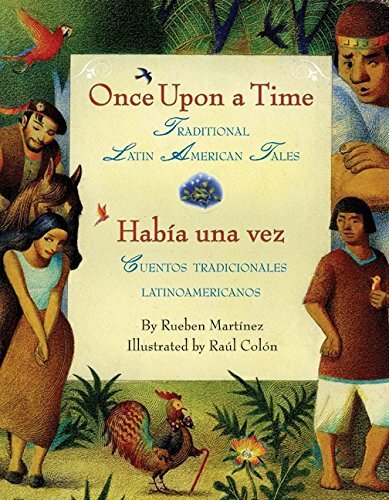 9780061468957, titled "Once Upon a Time / Habia una vez: Traditional Latin American Tales / Cuentos Tradicionales Latinoamericanos" | Bilingual edition (Rayo, March 9, 2010), cover price $19.99 | About this edition: Enter an enchanted world of kings and giants, where cockroaches play dress-up and coyotes fly to the moon! 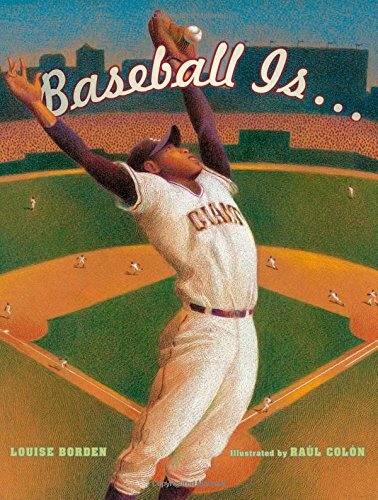 9781416998259, titled "Play Ball" | Simon & Schuster, February 23, 2010, cover price $6.99 | About this edition: Jorge loved the feel of the ball in his glove, the bat in his hand, and the game of baseball. 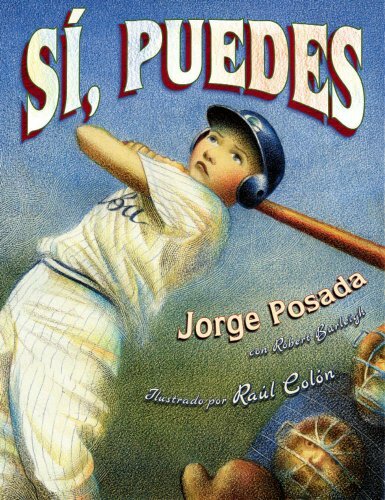 9781416906872 | Simon & Schuster, February 28, 2006, cover price $16.95 | About this edition: Presents a story of right-handed Jorge Posada being coached by his father to bat left-handed, and how it leads right to the major leagues. Product Description: Presents a story of right-handed Jorge Posada being coached by his father to bat left-handed, and how it leads right to the major leagues. 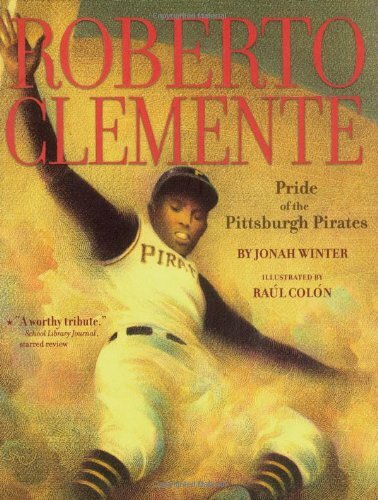 9781416998266 | Simon & Schuster, February 23, 2010, cover price $6.99 | About this edition: Presents a story of right-handed Jorge Posada being coached by his father to bat left-handed, and how it leads right to the major leagues. 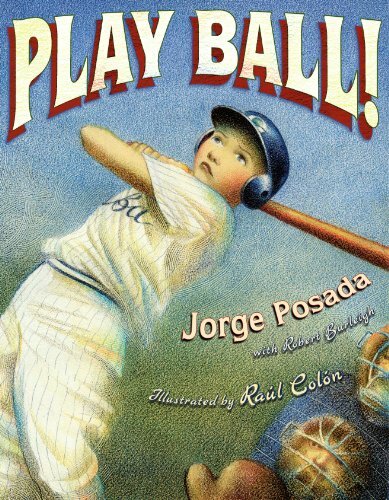 9781416914761 | Simon & Schuster, February 7, 2006, cover price $16.95 | About this edition: Presents a story of right-handed Jorge Posada being coached by his father to bat left-handed, and how it leads right to the major leagues. 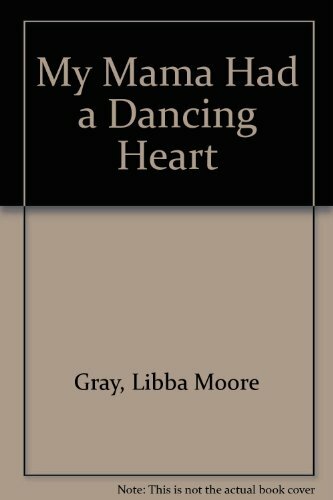 9780689848872 | Reprint edition (Aladdin Paperbacks, January 1, 2002), cover price $7.99 | About this edition: The daughter of a slave forms a gospel singing group and goes on tour to raise money to save Fisk University. 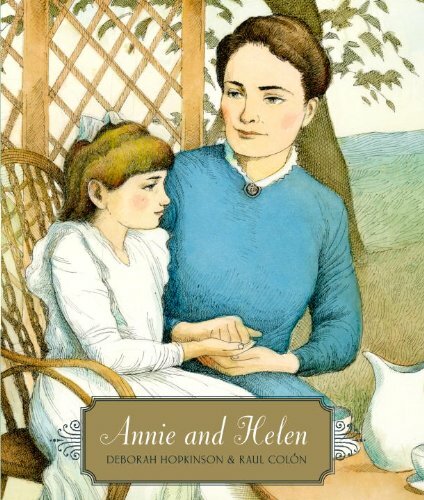 9780606240581, titled "Band of Angels: A Story Inspired by the Jubilee Singers" | Demco Media, September 1, 2002, cover price $15.85 | About this edition: The daughter of a slave forms a gospel singing group and goes on tour to raise money to save Fisk University. 9781439561485 | Reprint edition (Paw Prints, October 10, 2008), cover price $16.99 | About this edition: A Band of Angels is fiction, but it is based on real events and people. 9780613901888, titled "Band Of Angels: A Story Inspired By The Jubilee Singers" | Turtleback Books, January 1, 2002, cover price $18.40 | About this edition: The daughter of a slave forms a gospel singing group and goes on tour to raise money to save Fisk University. Product Description: FOR USE IN SCHOOLS AND LIBRARIES ONLY. 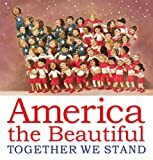 Young Andrew creates beautiful music on his harmonica despite his reading difficulties, and when the bullies of his Chicago neighborhood destroy his harmonica, his older sister Yolanda struggles to replace it. 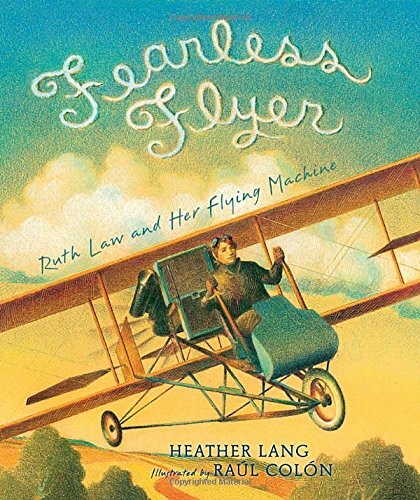 Newbery Honor Book. 9781439527870 | Reprint edition (Paw Prints, August 11, 2008), cover price $14.99 | About this edition: FOR USE IN SCHOOLS AND LIBRARIES ONLY. 9780679804017 | Alfred a Knopf Inc, October 1, 1997, cover price $17.00 | About this edition: While helping his family in their work as migrant laborers far from their home, Tomâas finds an entire world to explore in the books at the local public library. 9780375803499 | Dragonfly, February 1, 2000, cover price $7.99 | About this edition: While helping his family in their work as migrant laborers far from their home, Tomas finds an entire world to explore in the books at the local public library. 9780679904014 | Alfred a Knopf Inc, August 1, 1997, cover price $18.99 | About this edition: While helping his family in their work as migrant laborers far from their home, Tomâas finds an entire world to explore in the books at the local public library. 9780606180931 | Demco Media, October 1, 2000, cover price $15.81 | also contains Tomas and the Library Lady | About this edition: While helping his family in their work as migrant laborers far from their home, Tomas finds an entire world to explore in the books at the local public library. 9781435286344 | Reprint edition (Paw Prints, May 22, 2008), cover price $15.99 | also contains Tomas and the Library Lady | About this edition: Tomás is a son of migrant workers. 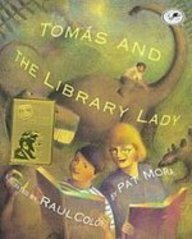 9780613283625 | Turtleback Books, March 1, 2001, cover price $18.40 | About this edition: While helping his family in their work as migrant laborers far from their home, Tomas finds an entire world to explore in the books at the local public library. 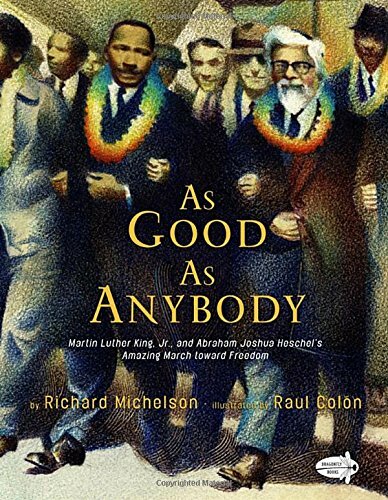 9780375833359 | Alfred a Knopf Inc, May 13, 2008, cover price $16.99 | About this edition: MARTIN LUTHER KING, Jr.
9780385753876 | Dragonfly, December 24, 2013, cover price $7.99 | About this edition: MARTIN LUTHER KING, Jr.
9780375933356 | Alfred a Knopf Inc, May 13, 2008, cover price $19.99 | About this edition: MARTIN LUTHER KING, Jr.
9781416950820 | Reprint edition (Atheneum, March 4, 2008), cover price $7.99 | About this edition: On an island called Puerto Rico, there lived a little boy who wanted only to play baseball.